In the last week of our trip to India in the middle of March 2018 the temperatures rose strongly and the soil was very dry due to lack of water. 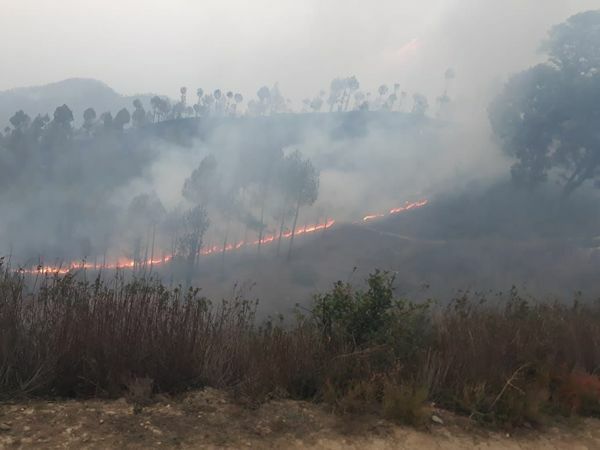 Shortly before our departure we already received the first frightening news that once again the forest and the land around the school were burning. The stone wall, built in 2017 to protect the children from leopards and tigers, was ultimately the rescue. This wall protected the school from the flames, but several trees were destroyed around the grounds. But today we received very dramatic and sad news from the nature school. 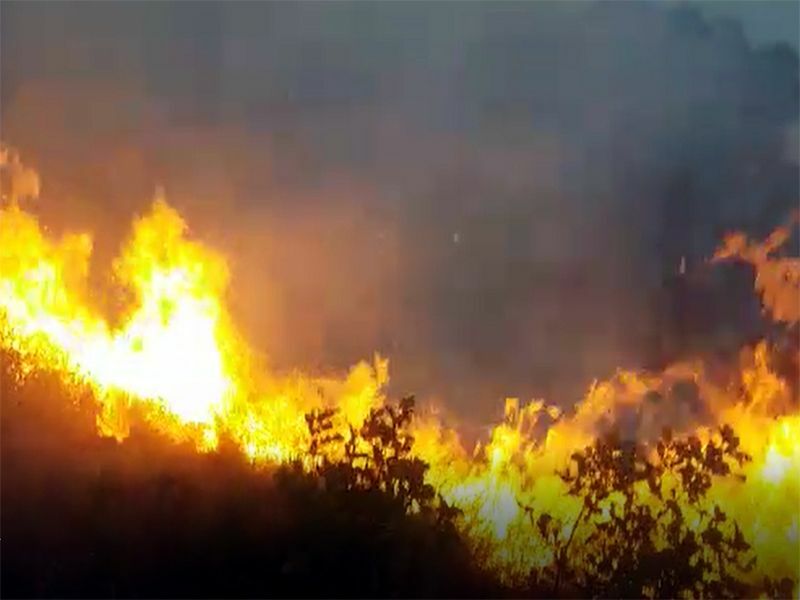 Once again a violent forest fire has broken out around the school, and destroyed almost all the trees planted by the children and teachers lately. 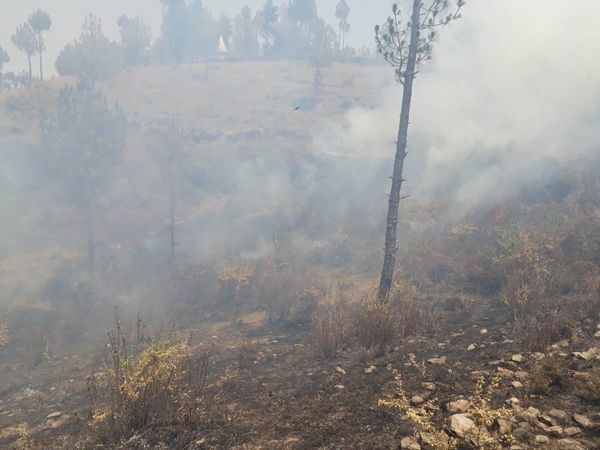 Strong summer winds favoured the spread of the fire and made it uncontrollable. 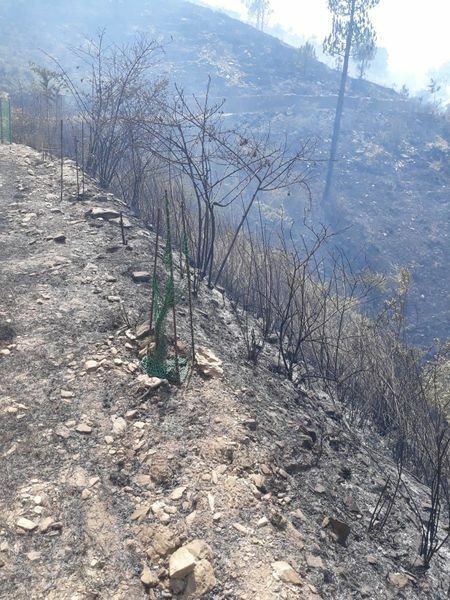 Flames of 2-3 metre height caught the children’s young trees and only ashes remained. 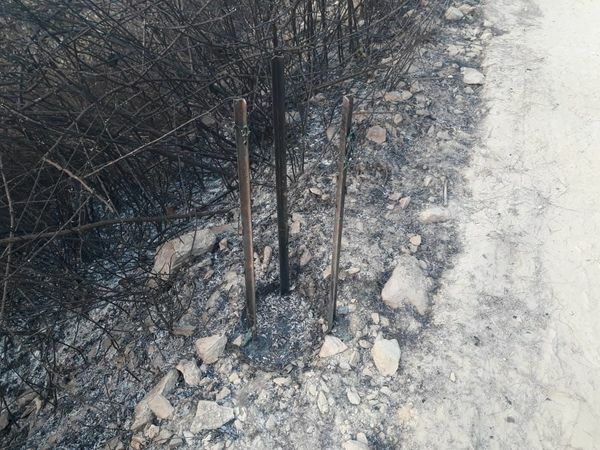 Additionally, all recently erected protective fences for the small trees are scorched and unusable. 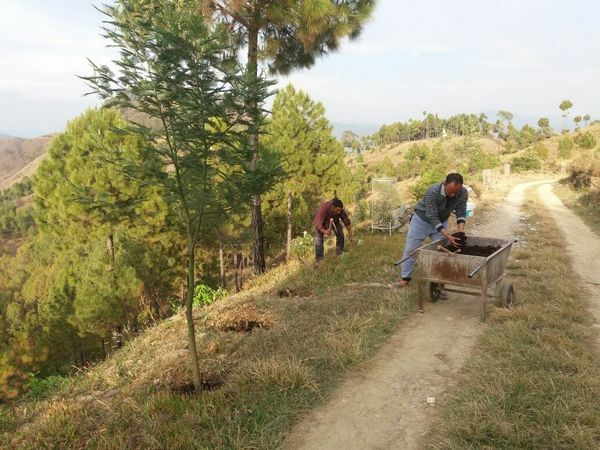 The complete teacher and school team tried to rescue the trees, but due to the water shortage they had no chance. 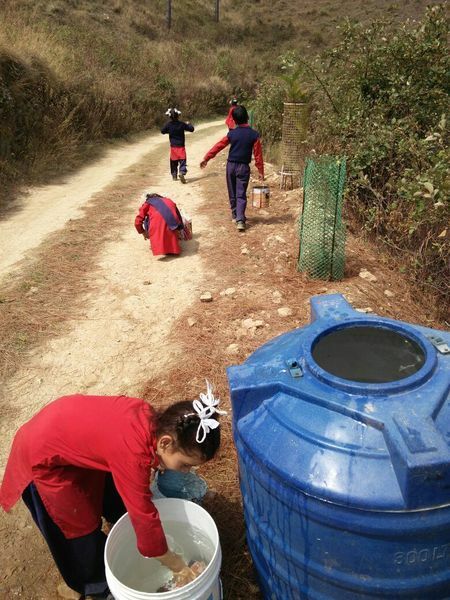 Only two weeks ago teachers and children were delighted to send us pictures of how they watered the trees under difficult conditions. 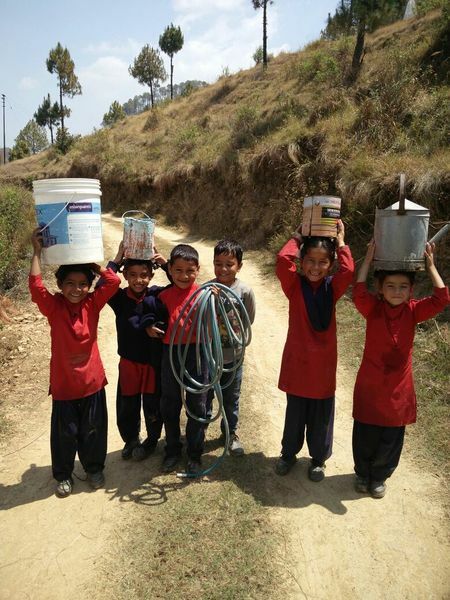 Due to water shortage they had to walk long distances with their buckets and cans to irrigate the trees. 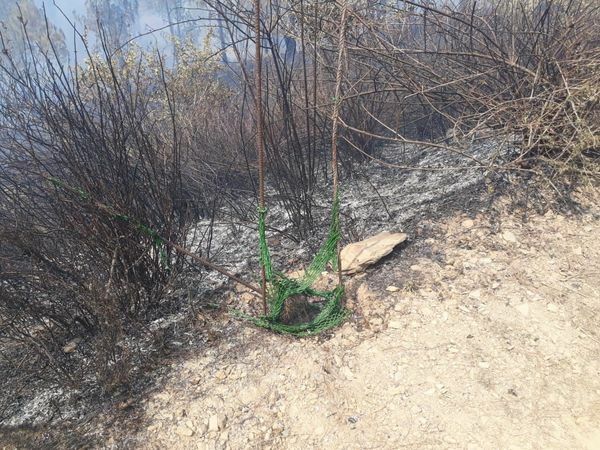 They have laid long water hoses to water the trees around the area. But now everything is destroyed. Please support all children and our school team morally and with good thoughts and please help us to plant new trees again. 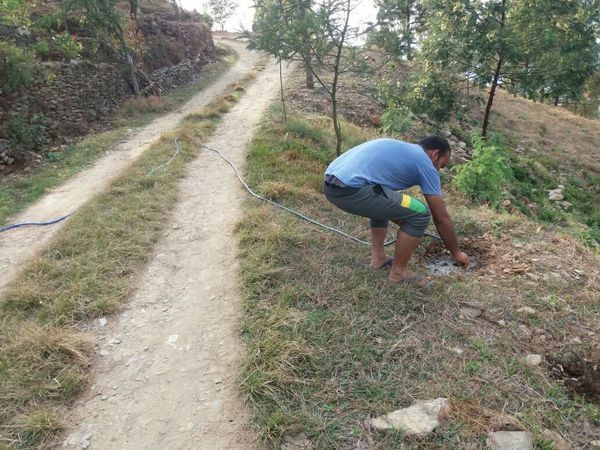 This catastrophe shows once again the urgent need to provide irrigation for nature around the school and on the school grounds and to set up a special irrigation system here. Anyone who enjoys participating or making a donation is cordially invited to do so. We would like to thank everyone for their spontaneous support.